In a report by the Washington Post, UC Riverside was listed as having a 40 percent Hispanic student population by fall of 2016. It is classified as a Hispanic-Serving Institution (HSI) where at least 25 percent of the students enrolled are Hispanic, according to the the Hispanic Association of Colleges and Universities (HACU). UCR is one of only four HSIs included in the 2019 list of the top 100 U.S. universities by the U.S. News and World Report (USNWR) organization, sitting at number 85 after moving an unprecedented 39 spots up from last year after USNWR adjusted its scale for social mobility. The Highlander met with UCR Vice Provost Cynthia Larive to further explore the reasons for high Latino attendance at UCR, as well as other statistical accomplishments involving Latino students. 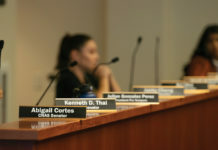 Undergraduate Director Emily Engelschall was also contacted via email for her own reflections. Mentorship is one reason Larive believes Latino students find success at UCR; in 2017 more than 70 percent of Chicano/Latino students graduated within six years. “We want to supply students with the resources they need,” Larive said, “serve them and give them the qualities that will help them be successful.” Larive highlighted various tutoring programs at UCR, including the Academic Resource Center (ARC) in Skye Hall and the First-Year Mentor Program for incoming freshman. 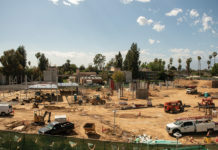 Engelschall finds UCR’s location in a diverse part of the state to be influential, but also hails the efforts done on the university’s own end. 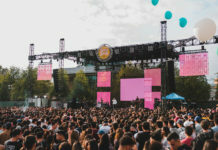 “While UCR is fortunate in that we happen to be located within one of the most diverse regions of the state, UCR’s success at recruiting, retaining, and graduating latinx (sic) students has been very intentional,” Engelschall wrote. “We (Undergraduate Admissions) have formed a very strong relationship with the Puente organization over the past decade and work in close partnership with UCR’s education preparation programs, Chicano Student Programs, and student initiated outreach efforts in order to provide meaningful and purposeful exposure to the UCR campus to both Chicanx/Latinx middle and high school students and their families throughout the state,” Engelschall said. Editor’s note: This story was corrected to reflect that Cynthia Larive’s grandparents, not parents, are from Germany and Sweden.